The following tables provide estimates of sea level rise based on measurements from satellite radar altimeters. 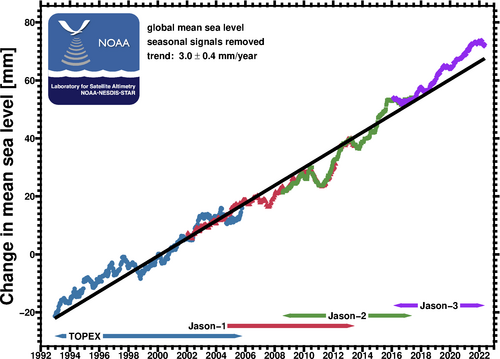 Plots and time series are available for TOPEX/Poseidon (T/P), Jason-1, and Jason-2, which have monitored the same ground track since 1992, and for most of the altimeters that have operated since 1991, including T/P, Jason-1, Jason-2, ERS-2, GFO, and Envisat. 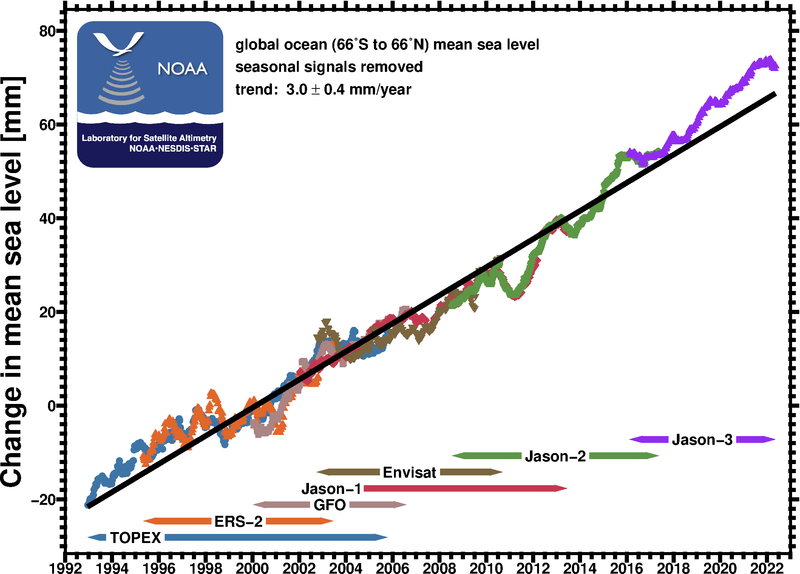 Only altimetry measurements between 66°S and 66°N have been processed. An inverted barometer has been applied to the time series. The estimates of sea level rise do not include glacial isostatic adjustment effects on the geoid, which are modeled to be +0.2 to +0.5 mm/year when globally averaged.